Our plumbers have years of experience with high end plumbing brands made here in the United States or internationally. These expensive fixtures can be difficult to fix without knowledge of how they work, which is why lots of plumbers will avoid working with them. We won’t run from a challenge, though. The experience we have gained throughout the years makes it possible for us to find the best solution for any plumbing fixtures. Sunset West Plumbing & Rooter is available for faucet leak repair in West LA, Beverly Hills, and Bel Air, CA. 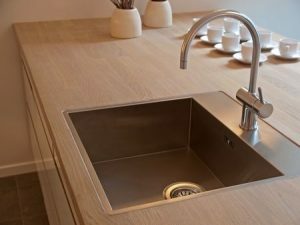 Don’t ignore a leaking faucet! A slow drip from the faucet may not seem like much, but can actually add up to the point that you are losing over three gallons of water each day. You can save a lot of money on your monthly water bill by getting it repaired. Our team of highly trained plumbers have been providing reliable plumbing service since 1989. Call us today at (310) 454-2010 to learn more about our affordable plumbing services and the honest solutions we can give you to get the plumbing in your home in the best shape possible. Updated on June 15, 2016 at 6:22 pm by Sunset West Plumbing & Rooter.